Even though Danielle Staub recently admitted to some marriage difficulties, the show must go on, right? Or at least the birthday party must go on. The Real Housewives of New Jersey cast member had a masquerade-themed party at her house this past weekend. Of course, she took a lot of photos from her big night, but one person was notably missing: her husband Marty Caffrey. Maybe Marty just took those photos instead of appearing in front of the camera? Then again, with so many people on hand to celebrate Danielle’s birthday, why wouldn’t he just jump into one picture? Especially when there are so many rumors circulating about the state of their marriage these days. Nevertheless, plenty of others did show up for her big night. Danielle’s daughters Jillian Staub and Christine Staub were happy to celebrate with their mom. Danielle’s enemy-turned-best-friend Teresa Giudice was there with her adorable father Giacinto Gorga. Rumored new Housewife Jennifer Aydin was also in attendance. It’s not at all surprising that Dolores Catania wasn’t there, but what about Margaret Josephs and Melissa Gorga? Did they just have other plans that night? Or is there more to their absence? Was this filmed for the show? There are so many unanswered questions. 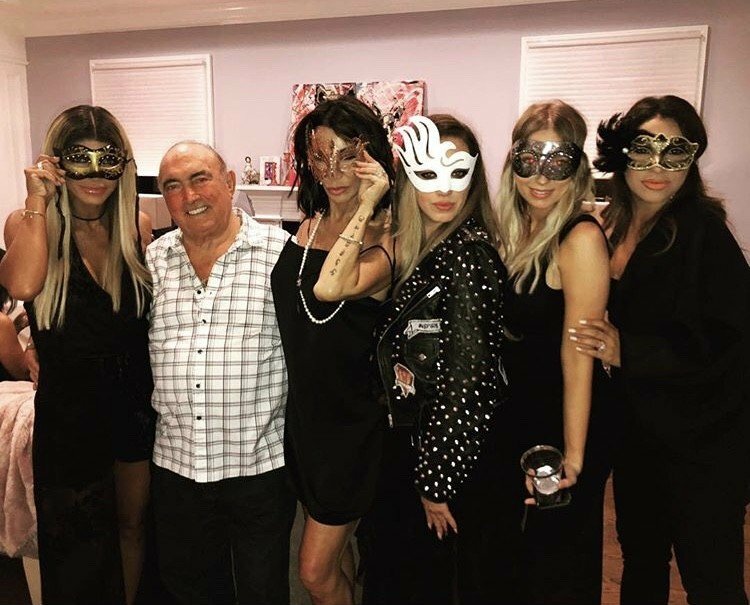 In the meantime, check out the photos from Danielle’s masquerade-themed birthday party by clicking through the photo gallery below. TELL US- WHAT DO YOU THINK ABOUT THE PHOTOS FROM DANIELLE’S PARTY? ARE YOU SURPRISED THAT MARTY WAS NOT AT DANIELLE’S PARTY? DO YOU WANT DANIELLE TO BE A FULL-TIME CAST MEMBER FROM REAL HOUSEWIVES OF NEW JERSEY NEXT SEASON?